In May, we announced our first Google Apps for Education partnership in Thailand and today we’re excited to announce over 5,000 Chulalongkorn Business School students and teachers are going Google! What does it mean to go Google? Going Google is a fun way to describe partnerships between Google and educational institutions who adopt Google Apps for Education, a collection of free email and open collaboration tools available for teacher, students, classrooms and families around the world which includes Gmail, Docs, Calendar, Google+ and Groups just to name a few favourites. Through Google Apps for Education and our partnerships with schools and universities in over 146 countries, we’re working hard to make learning magical for students (and their teachers! ), to empower innovative communities and to build a foundation of technology and access. 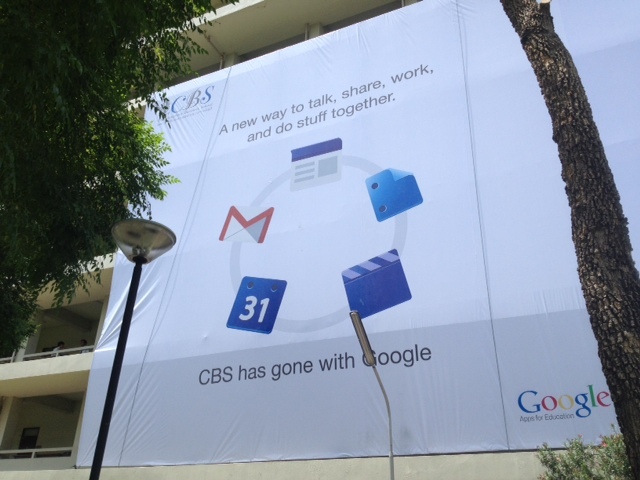 Why is CBS going Google? Starting from today, all CBS undergraduate students will begin to sign up for a dedicated CBS Gmail account which connects them to a collection of easy-to-use and easy-to-access collaborative products and tools. 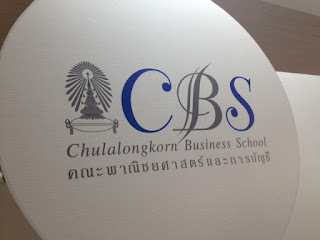 The Google Apps Support Program (GASP) team has worked closely with the CBS faculty to provide hands on training every step of the way and is looking forward to sharing the inspirational stories of Thai teachers and students with the rest of the world. Leading-edge technologies, like cloud computing and collaborative tools, have a vital role to play in helping equip future generations with the skills they need to thrive in the workforce of today and tomorrow. We’re excited to continue to grow our education partnerships in Thailand, we know there is more work to do but we’ve received such an amazing response to date we’re sure the best is yet to come! Google Apps for Education is open to everybody, if you would like to know more, please visit our Apps for Education center and if you still need another reason to try Google Apps for Education, here’s our top 10 reasons to go Google. ถึงเวลาเรียกเสียง ว้าว! จากคณะกรรมการ Google Apps Developer Challenge พร้อมให้ส่งผลงานแล้ววันนี้! ขอให้ใช้ทุกสิ่งทุกอย่างที่คุณมีเพื่อผลงานที่พร้อมสมบูรณ์ สงสัยอะไรก็สอบถามได้ที่ Google+ Office Hours และ Google Developers Live หาอ่านข้อมูลต่างๆ ใน Apps Script และ Drive และ Apps APIs ใน Google Developers หรือจะทบทวน latest updates ตั้งแต่งาน Google I/O จนถึงการตรวจสอบรายการก่อนการยื่นผลงาน หรือจะโพสต์คำถามและข้อเสนอแนะต่างๆ โดยใช้ hashtag #gappschallenge บน Google+ ทำการตรวจทาน และสิ่งสำคัญที่สุดคือทำแอพพ์ของคุณให้เสร็จ!